Robert Vincent is an award winning singer songwriter from Liverpool. He is currently supporting Paul Carrack ​for the third time on his full UK tour and has been receiving rave reviews (see above). It comes as no surprise therefore (especially to his legion of loyal followers) that the legendary Bob Harris ​has joined the ranks of his admirers. “ I am so impressed with Robert’s music. Strong songs laced with blues and country. He is the real deal”. This endorsement of Robert is further consolidated by Bob’s invitation to him to play at the Under the Apple tree​festival later this year. 2016 will also see Robert playing at the Maverick ​festival. 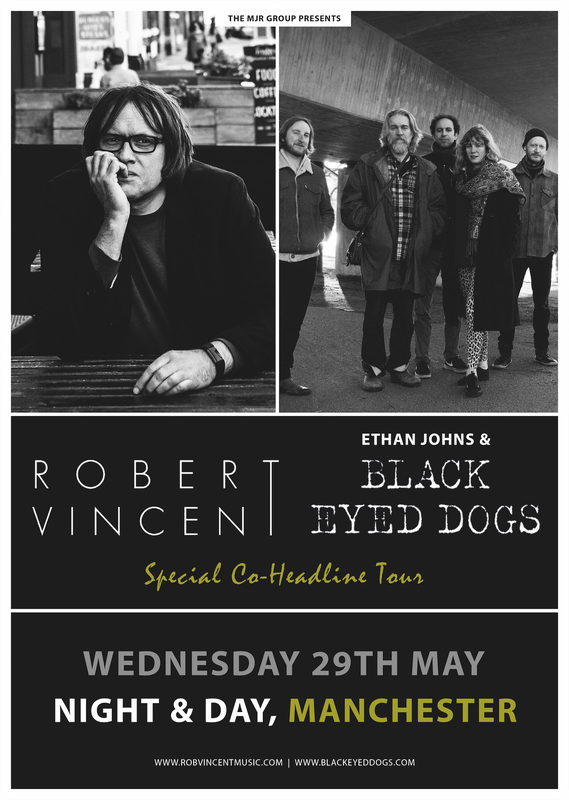 Add to this several headline shows of his own, a trip in March to Nashville ​for the Tin Pan Songwriters Festival ​and a performance at the famous Bluebird Café ​and you begin to realise that Robert Vincent ​is someone special. Vincent credits his influences to his upbringing where his formative years were spent listening to his father’s collection of Emmylou Harris​, Charlie Rich ​and Waylon Jennings albums and his older brothers introducing him to Pink Floyd. These ​early influences can be detected in Vincent’s own story telling style of songwriting. He stirs a range of emotions with songs that, although often melancholic, are never maudlin, the memorable melodies leaving you feeling uplifted. A new album, funded by a pledge campaign, is close to completion and will be released over the coming months. Those already in on the secret that is Robert Vincent, await eagerly in anticipation.